The Listers name will be familiar to many people, but especially anyone from the West Midlands. With over 50 dealers across England, they’re the country’s largest privately owned motor group. Listers dealerships represent numerous different car manufacturers, like Audi, Land Rover, and Toyota. All their new cars are from brands registered with the company. Used cars are also available, with a wider range of makes represented, such as Nissan and Citroen. As well as selling new and second-hand cars and vans, Listers offers contract hire and leasing, Motability schemes, and expert servicing. Listers are well-equipped to offer affordable finance plans for customers who don’t wish to buy outright. Terry Lister and Keith Bradshaw are the men behind the Listers brand. In 1979, they founded Listers from Coventry Motors Limited, having bought a body shop and dealership in the city. Of course, that was just the beginning of their story. Over the years, the company has worked hard to maintain itself as an independent business, striving to give customers the best value for money. Since its inception, Listers has branched out into the counties of Worcestershire, Warwickshire, Norfolk and Lincolnshire, amongst others. Today, Listers Group Limited is based in Stratford-upon-Avon. They employ many knowledgeable staff across dealerships throughout the country, and represent 13 different car brands. The 13 marques represented by Listers include luxury brands like Jaguar, Lexus, BMW and Mercedes-Benz. At the more economical end of the spectrum are affordable models from Skoda, Smart and Volkswagen. 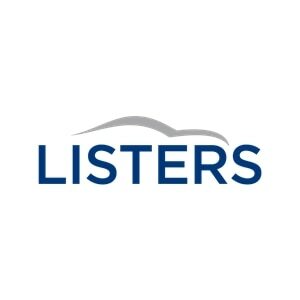 Even more brands are represented in Listers’ used car range, which means the company’s dealers are fully equipped to accommodate your needs and budget. If you’re seeking a compact hatchback, there are models such as the Volkswagen up! or the Seat Mii. Sleek, luxury saloons are available from BMW and Audi. The eco-conscious, meanwhile, should visit one of Listers’ Toyota dealer showrooms for a peek at their excellent electric models.